I've just recently upgraded the QUAD stack. My old Arcam Alpha Plus CD player has been "retired" and in its place comes a lovely new QUAD CD-P 99. Three generations of QUAD in this stack. 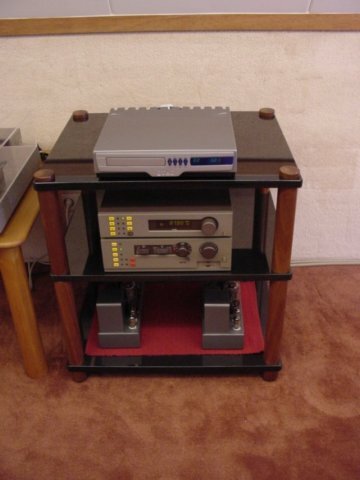 The QUAD II were built in 1963, the QUAD 44 and FM4 in the 1980s and the CD-P this year. Equipment stand is a custom built granite stand from Peter Stewart at HNE.